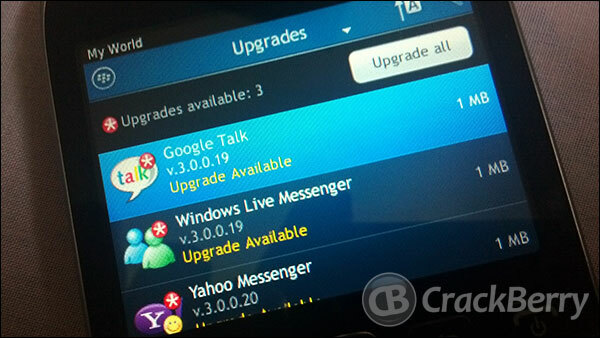 We last saw an update to the instant messaging clients for BlackBerry smartphones in April, and today RIM has released the next update to the IM clients. As usual there isn't a change log for the updates so it's a case of just finding any changes yourself. The clients have been updated to v3.0.0.23 and if you are someone who continues to use these apps then you can get the update using the links below. A forum discussion has already began with folks noticing some changes, so if you find anything new, join in the discussion.